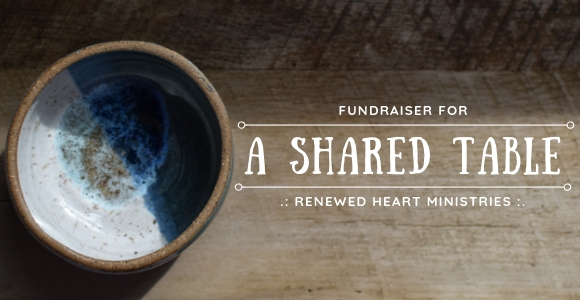 There’s only one week left to get your RHM Shared Table Fundraiser pottery bowl! We’ve had a tremendous response so far this month. From time to time we receive emails and letters from folks who’ve been impacted by our work. I thought I’d share one with you this week. It’s support from generous people like you that, without any exaggeration, enable us to be there for folks like these. Let me give a little back ground on our Shared Table Fundraiser. 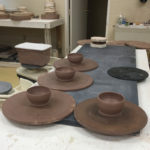 A few years ago now, Crystal and I took up pottery as a way to spend time together in the midst of a lot of traveling that I was doing at the time. As time went on, a United Way branch here in Lewisburg put out a call to all potters in our area to donate bowls for a local fundraiser event they were hosting for one evening in the fall that they called Empty Bowls. Crystal and I made fifty bowls that year for them and have continued to do so each year. 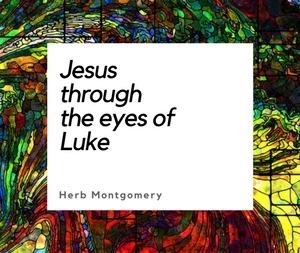 In the gospels, Jesus modeled for us a way of practicing community in the shape of a shared table. It is a significant rearrangement of our life which abandons the way of pyramids of oppression, privileging some while subordinating others. It also breaks down circles of exclusivity, which marginalizes those who are different as “other,” replacing those forms with a shared table around which there is no hierarchy, but instead there is a rich diversity, and genuine inclusion. It’s a vision of a world where every voice matters, and each person’s story and experience is valued. It practices a preferential option for the most vulnerable among us. It is rooted in a posture of listening, out of which our values become informed, as we, integrate the many diverse experiences of life into a meaningful and life-giving whole. The result, we believe, is a world that becomes a safer, just, more compassionate home for everyone. This shared table is what one of these shared bowls represent. And they are versatile. 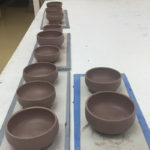 If someone wanted to actually use one these pottery bowls, they by all means could. Each time you eat from this bowl or use it as a serving dish, you can be reminded of the Shared Table as a means of restructuring our communities and healing the hurts in our world. You could also place it on your coffee table or desk at work as a conversation starter. When asked about it you can share with them about the Shared Table philosophy, and even direct them to Renewed Heart Ministries to find out more. That way you can partner with us in even more ways to spread the message of love, compassion, justice, sharing and taking care of one another. So this year, along with the usual bowls that we are throwing for the United Way, we are also throwing bowls for what we are calling A Shared Table: A Fundraiser for Renewed Heart Ministries. To participate, all you have to do is become one of our monthly automated reoccurring donors during the month of October by subscribing at https://renewedheartministries.com/donate/. There’s no minimum amount. And of course, you can pledge as much as you’d like, as well. Just make sure you select “Check this box to make it a monthly recurring donation”, or if you are using Paypal, check “Make this a monthly donation.” These types of subscriptions allow nonprofits to plan for their coming year. And if you are already one of our monthly automated donors, you don’t have to do a thing. We want to honor your existing continual support of Renewed Heart Ministries. 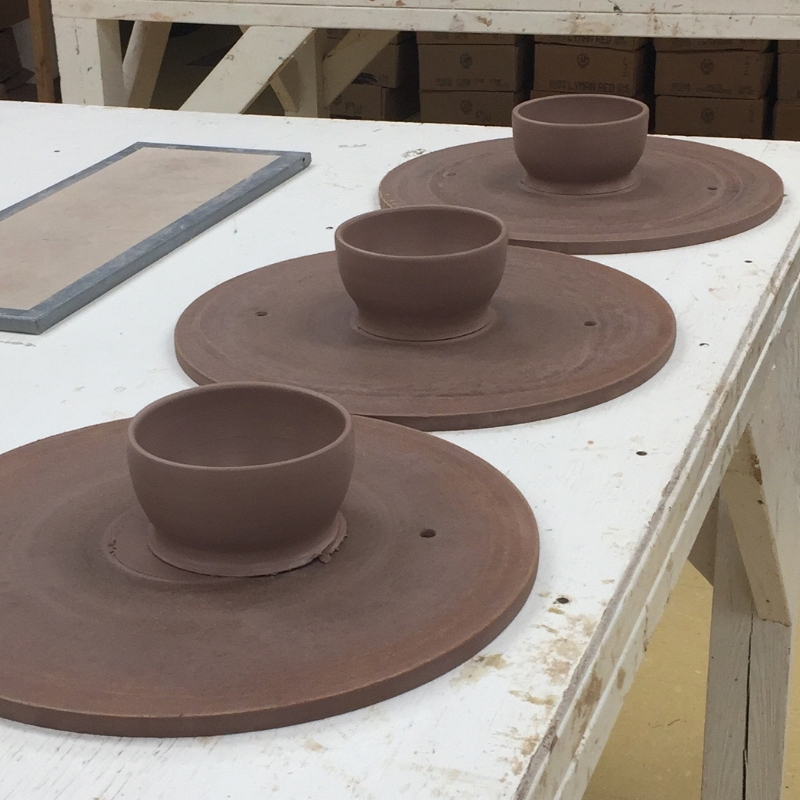 At the end of October we’ll also send you one of RHM’s Shared Table Pottery Bowls so you can join in sharing the message of a shared table, too. You’ve been partnering with us already in so many ways, and we thank you. Now you’ll be able to help us even more by putting your Shared Table Pottery Bowl on display and when the conversation comes up, tell folks all about Jesus’ vision for a world shaped in the form of a shared table and send them our direction to find out more. 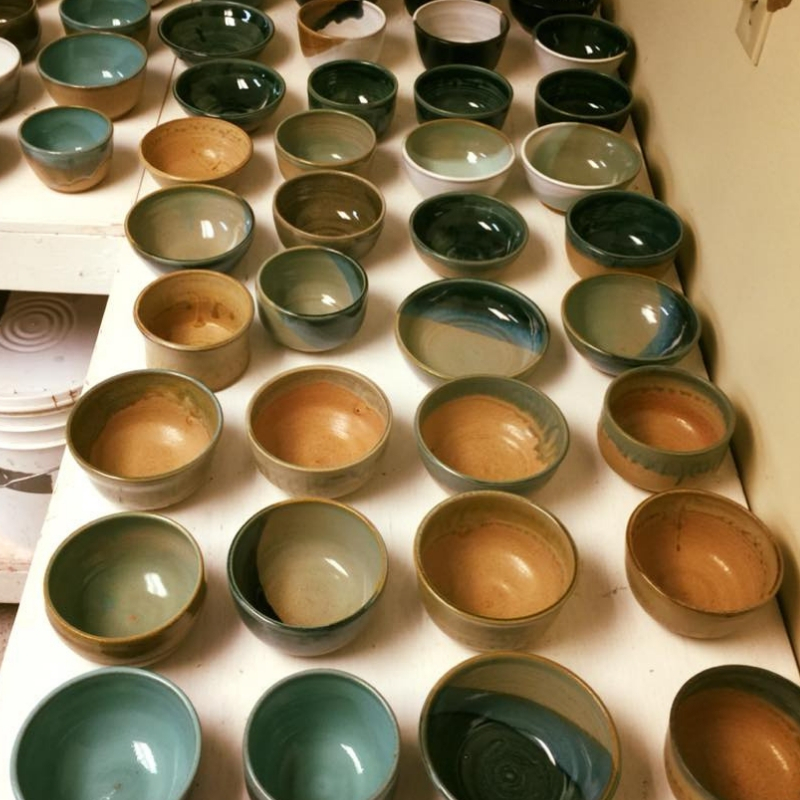 Crystal and I are so excited to be sharing these bowls with you in support of RHM’s work of engaging the intersection of faith, love, compassion and justice. Your support enables RHM to continue providing resources to renew hope and inspire action as we work together toward shaping our world into a compassionate, just and safe home for all. Together, we can ensure that RHM’s work will continue to “change lives” and “breathe new life” into even more hearts this fall and throughout 2019. 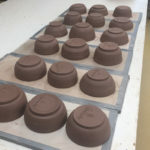 Click “Subscribe” and get your RHM Shared Table pottery bowl today!